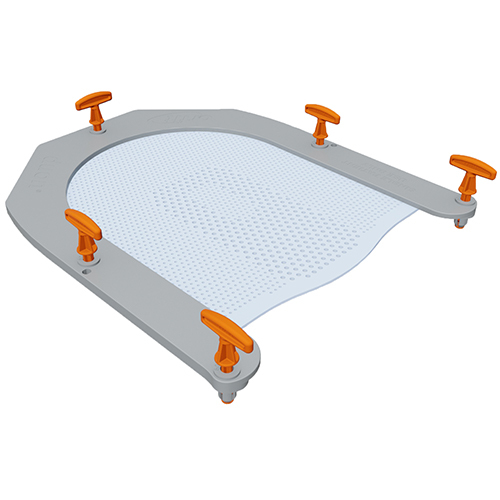 Orfit Industries has a wide range of thermoplastic immobilization masks, both for head and neck and for extra cranial immobilization. The complete range of masks can be found on the Orfit website. The below information is a guideline to help you find the most suitable head and neck mask that fits your needs. 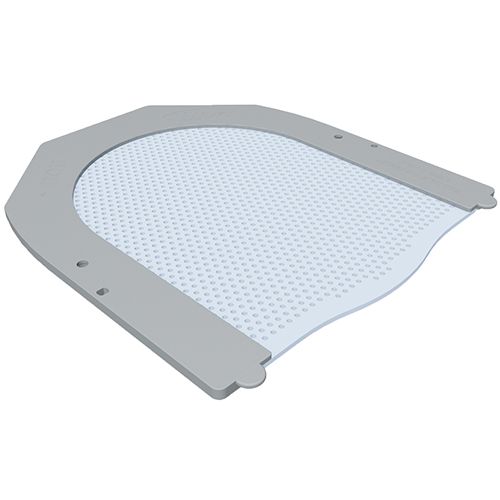 How to choose the most suitable Orfit masks for head and neck? 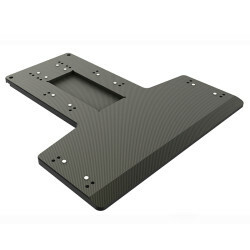 Step 1: Which kind of base plate do you have in your department? 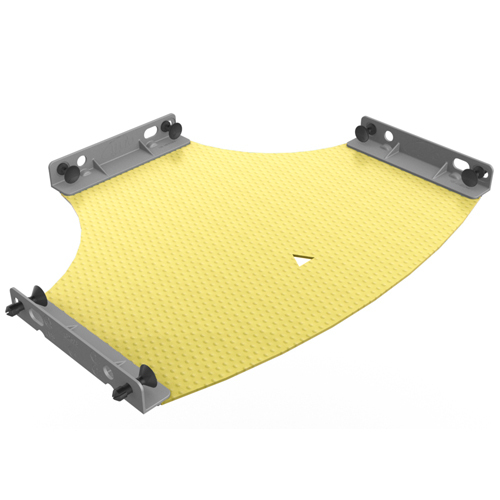 Orfit HP base plate: The Orfit HP base plates have slots that accept our L-shaped profiles. 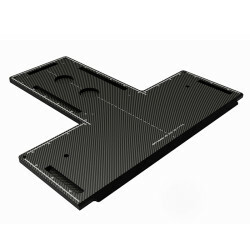 Push-pin base plate: This base plate is compatible with masks with push-pin profiles. 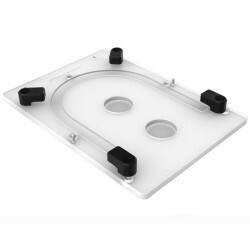 S-Type base plate: this base plate accepts the Orfit DUON masks. 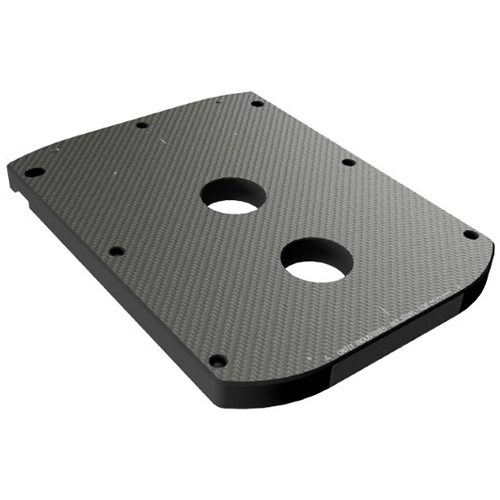 U-Frame base plate: This base plate accepts the Orfit UON masks. if you will need a ‘head’- or a ‘head, neck and shoulder’- mask. This choice depends on the tumor location. The High Precision, Push Pin and DUON masks exist both in a head and a head, neck and shoulder version. The UON masks exist only in head version. of the mask based on the treatment technique. For standard treatments, such as 2D or a 3D conformal treatment, a single layer mask can be used. 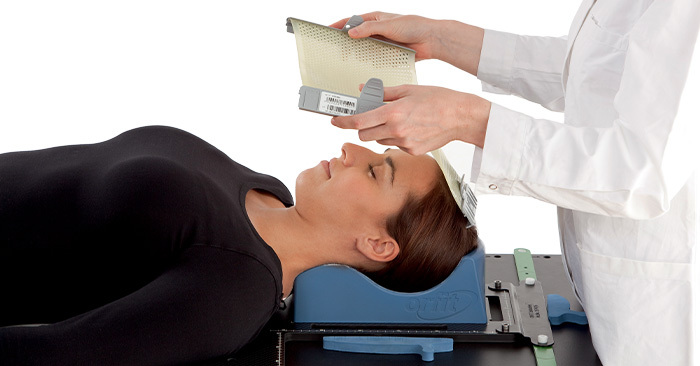 For treatments that require a higher precision, such as stereotactic treatments, a hybrid mask provides the required higher degree of immobilization and limitation of patient movement. * When using a patient tracking system, such as VisionRT or C-Rad, or when treating a claustrophobic patient an Open face mask should be used. Single layer masks are available in the High Precision, Push Pin and DUON and UON range. 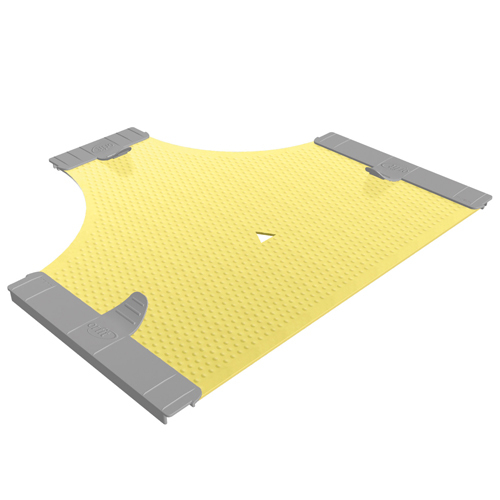 Hybrid and open face masks are available in the High Precision and Push Pin range. Detailed information about every type of Orfit mask is available on our website. If you have any further questions, please contact your local Orfit distributor or ask your question in our Orfit Patient Immobilization & Positioning Group on Facebook. Radiation therapy is becoming increasingly used as a cancer treatment and is continuously developing on a technological level, but not everyone may know what this therapy entails. Based on articles by ESTRO and BRAVO, two advocates for creating awareness about radiation therapy, we explain why the treatment plays such an important role in cancer care.